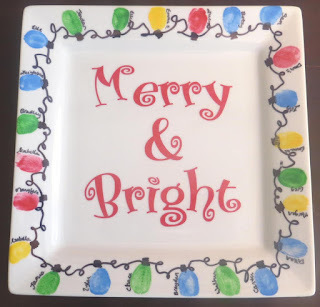 I LOVE how this Christmas light thumbprint plate turned out!! I made this with the thumbprints of everyone in the class and gave it to the teacher for Christmas (plus a gift card of course). It is a precious keepsake! 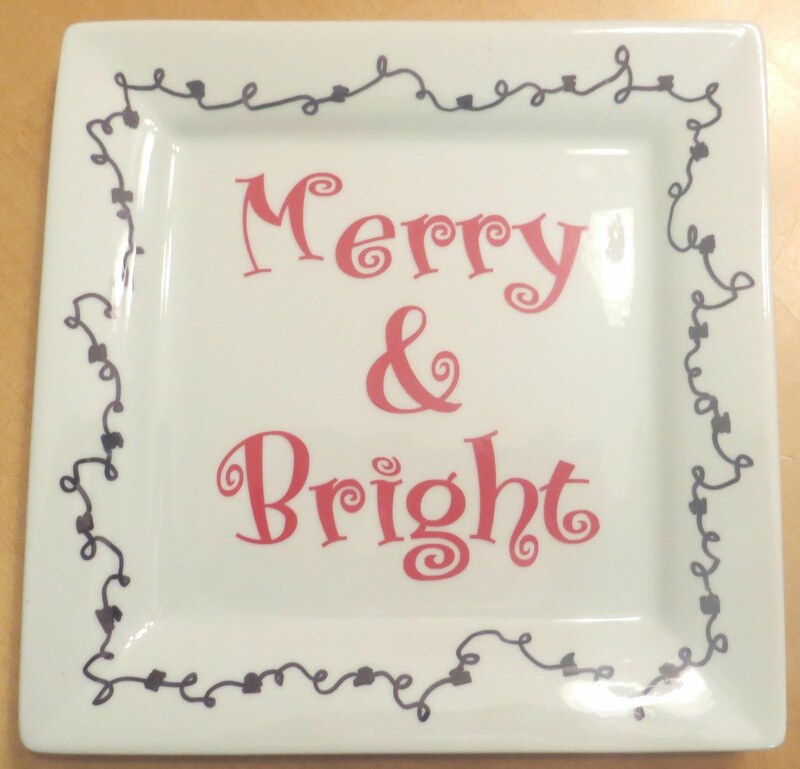 I found the white square plate at Wal-mart. 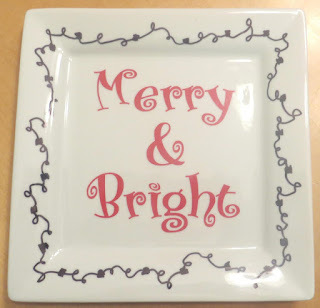 I used my Silhouette to cut red vinyl into "Merry & Bright" (Boingo font). I added the string for the lights with a sharpie and made sure to have the perfect number of sockets where the thumbprints would go. Next, I added the kids' thumbprints. 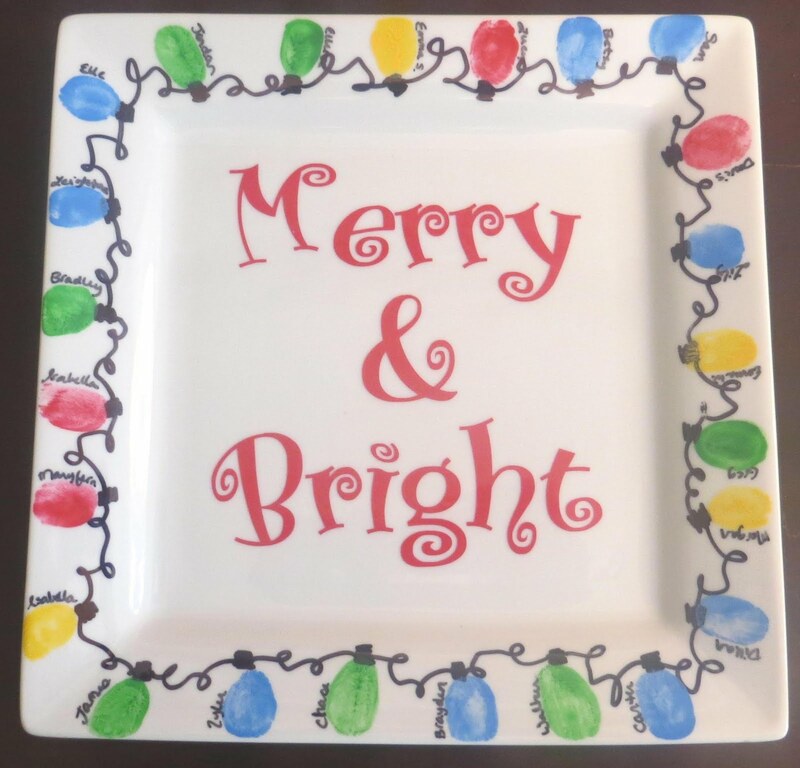 To keep track of whose thumbprint was whose, I made a copy of the plate beforehand and wrote in each name at the spot they put their thumbprint. I let them pick whatever color they wanted - red, green, blue or yellow. Once the thumbprints were dry, I added the kids' names with a thin sharpie beside their thumbprint. LOVE it!